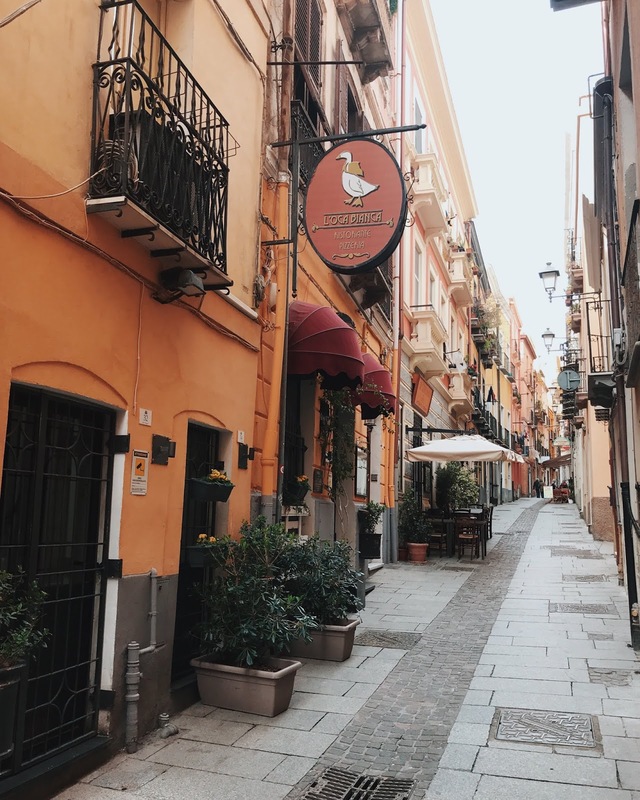 After my first trip to Italy, I was completely sold (because eating all of the pasta OBVS), so when the male booked a surprise trip for his dad’s birthday to Sardinia, I couldn’t wait. Packing up my bikinis and summer dresses excited for a few days in the sunshine, I’ll be honest and say I was a little disappointed when told that actually it wouldn’t be that warm. And winter coats were still needed. Sitting on the plane with my trousers and jumpers packed, I was unsure what the long weekend would bring but the moment we drove out of the airport towards the neighbourhood (it took all of 15 minutes), my views changed, and the jumper on my back didn’t quite matter anymore. 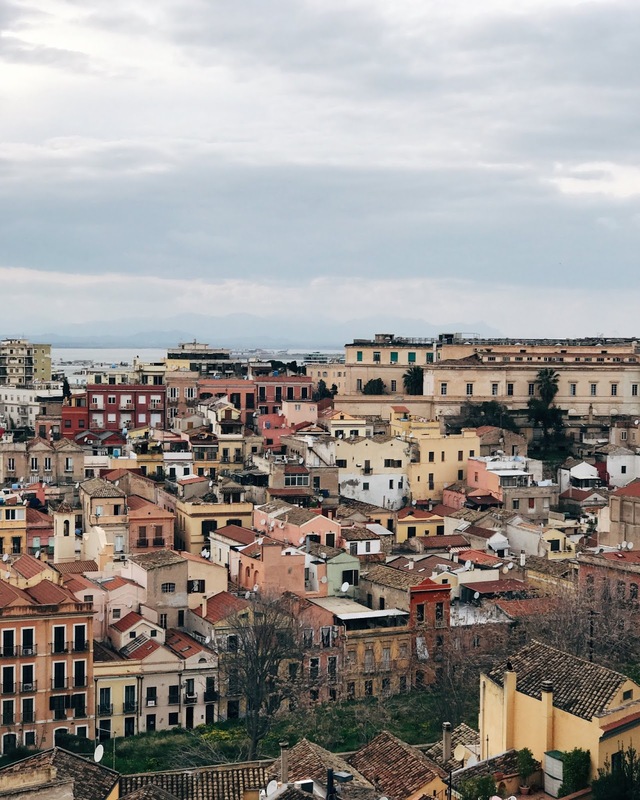 I was blown away by the blue seas surrounding the island.Rain and sunshine, Cagliari, and Sardinia as a whole, had so much to offer. The atmosphere was constant, and the restaurants were flowing with locals throughout day to night. 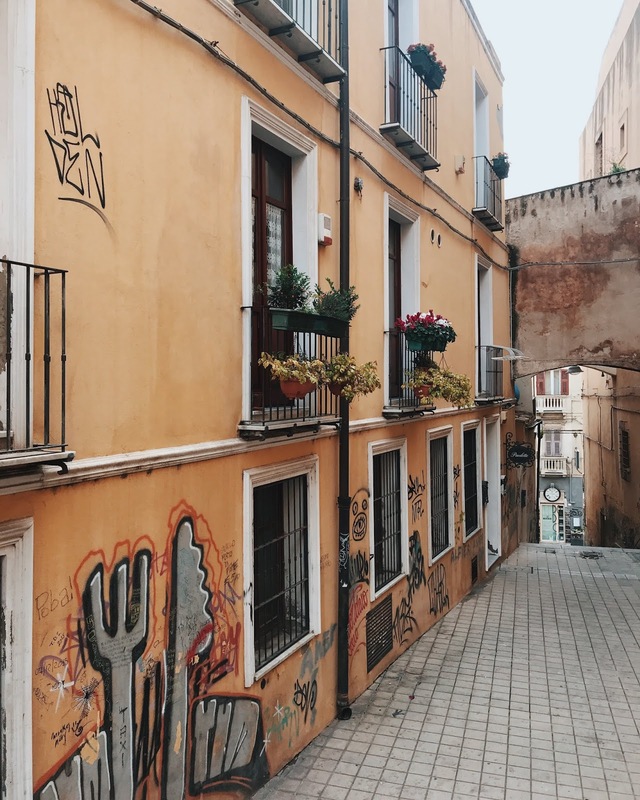 It didn’t feel touristy at all, but the views from the winding streets were ones that should be shared more with the world. 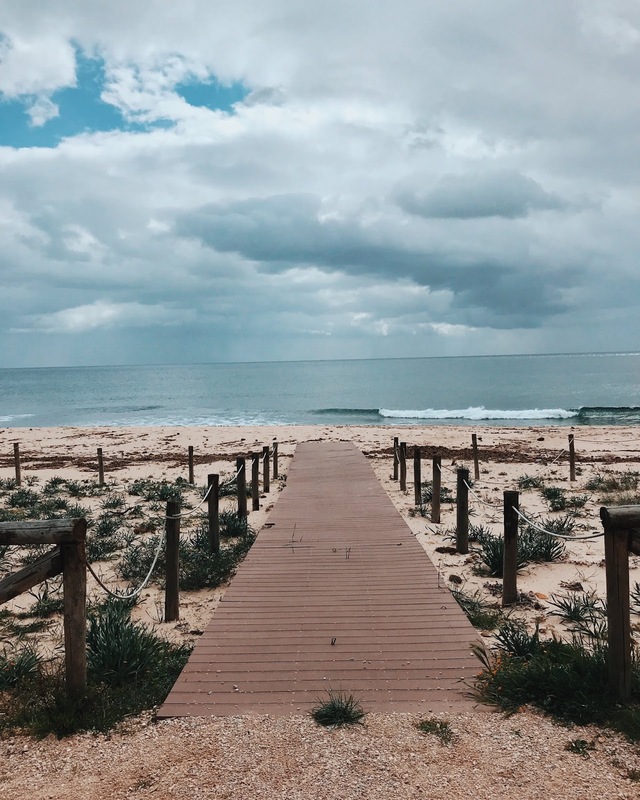 Hiring a car was definitely up there for us, and travelling around the south coast, just added to our list of why we fell in love with the rugged landscaped island. Have you ever seen such bluer seas? And actually, the cooler temperature meant that stopping at every opportunity on the roadside to explore those beaten track was not impossible. Sweaty humidity mess? Not us over here! - Pula: We'd hired a car for the duration, and made our way around the South West coast starting with Pula. For peaceful and mesmerising beaches, Pula is the one. Also, behind the beach are FLAMINGOS!- Teulada: Drive through the mountains and towards Teulada. Make sure to stop at every opportunity because, you'll be blown away at every sharp turn. Sunglasses on, petrol filled up. 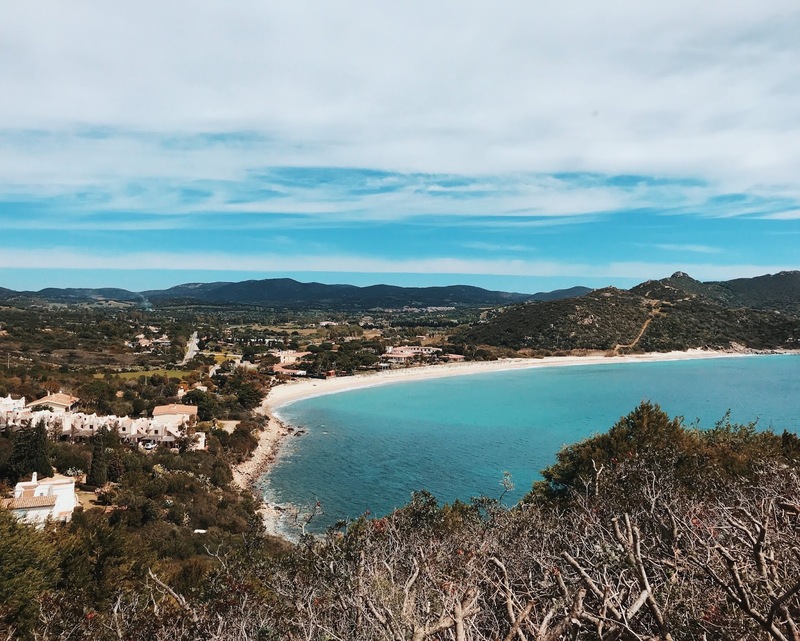 Roadtrip a go!- Calasetta: On our drive, we headed to the island, Sant' Antioco connected to Sardinia. 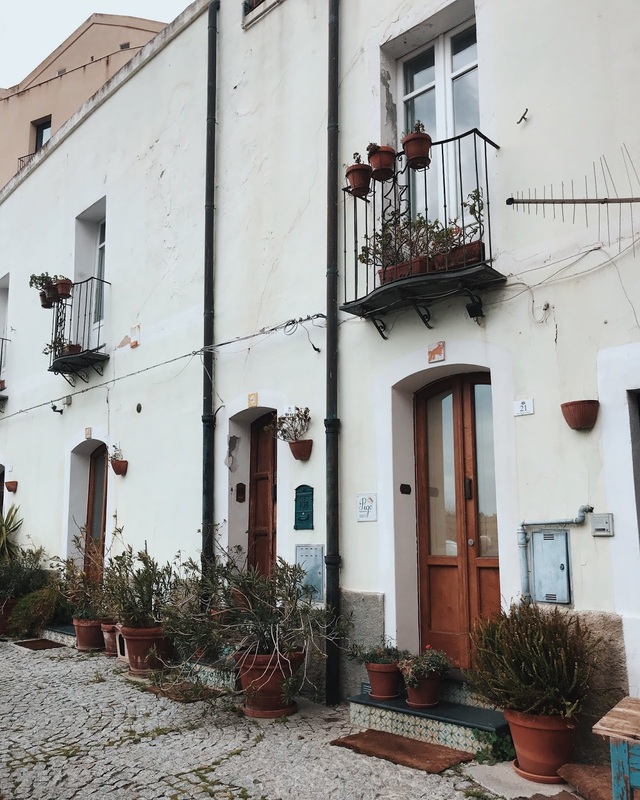 Whilst it was quiet in some areas, Calasetta is absolutely beautiful with trees lining the roads, making for the perfect spot for lunch and a potter.- Poetto: Close to Cagliari, Poetto has the marina and whilst quiet when we visited, it's where everyone flocks to in Summer. Think delicious gelato whilst losing a few hours listening to the sounds of water hitting the rocks. Absolute bliss.- Villasimus: Quite possibly my favourite spot from the whole trip. The beaches are something else, like a picture from those magazines, with the coastline being among the most spectacular on the island. Park up, and explore off the beaten track for endless views, and I guarantee you'll fall in love too. 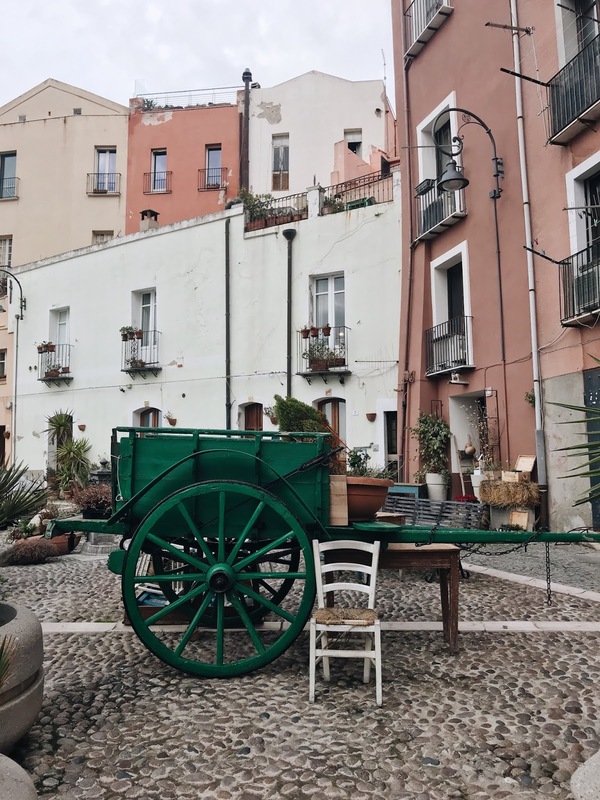 - Su Cumbidu: We’d just arrived, with that post travel hunger, and found this within moments of stepping into the centre of Cagliari.Resembling a rustic beer cellar with traditional Sardinian food, this was the perfect place for lunch and to fully embrace the Sardinian way of life. Order the Sage & Saffron pasta filled with potatoes. Because OH MY GOSH. 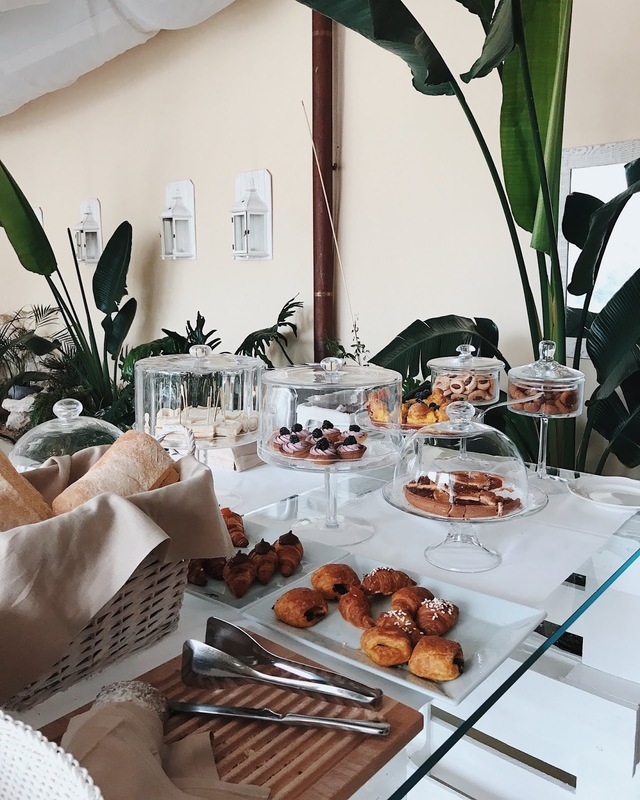 - L’oca Bianca: I’ll be honest and say, that upon entering the restaurant, we were a little hesitant. It just didn’t have much appeal, and lacked customers. However within ten minutes of being at our table, the wine was delicious, our wood oven cooked pizzas were nothing short of taste and the locals soon flocked in creating such a vibrant atmosphere. Never judge a book by it’s cover! 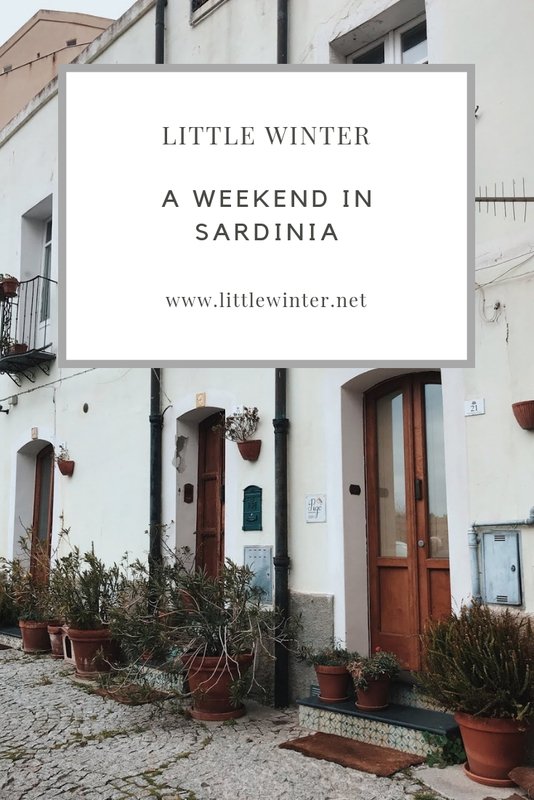 - Sa Domu Sarda: Another restaurant we stumbled upon where the atmosphere picked up as the night went on. Rustic furniture with a homely feel and again, dishes to delight. 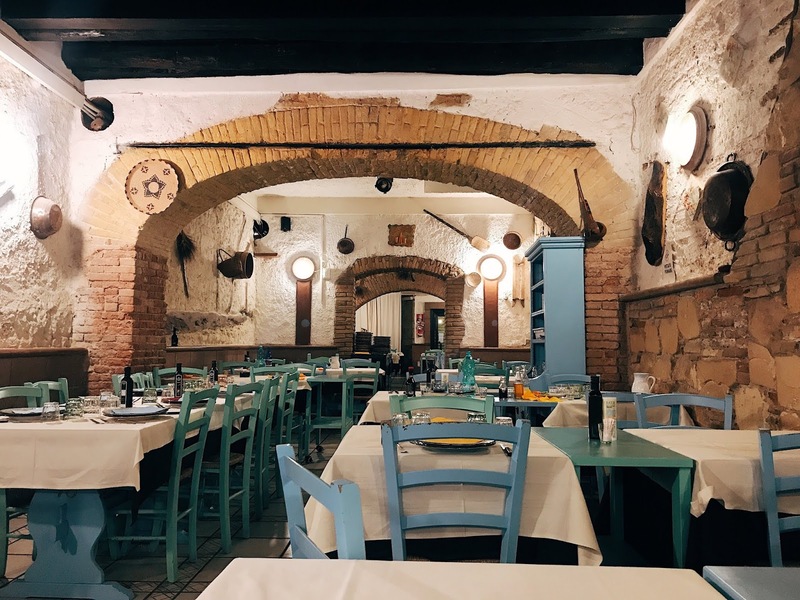 Order the Sardinian dumplings (because potato and cheese filling) and all of the prosecco for the perfect evening meal.- La Perla, Calasetta: We came across this seafood restaurant after driving for a few hours and ending up in the little town of Calasetta. For the small island, there was plenty of life inside. The dishes were fresh, tasty and light and the prosecco? Perfect! WHERE TO STAY- Villa Fanny: Considering the name (I wonder why the male wanted to book this place?!) this place exceeded expectations. 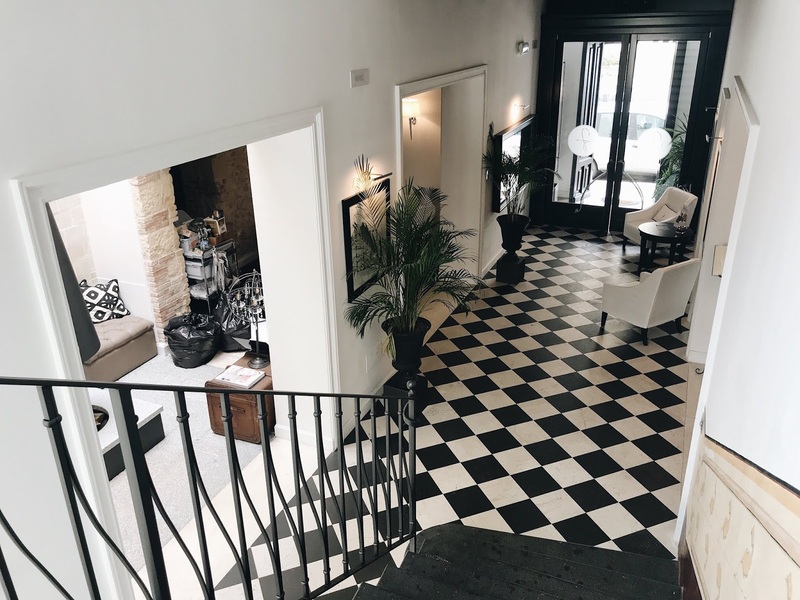 I’m always hesitant of hotels that are in more residential areas but the moment you entered Fanny (no puns intended…), you’re greeted with complete style and elegance in their decor, with attention to detail throughout. 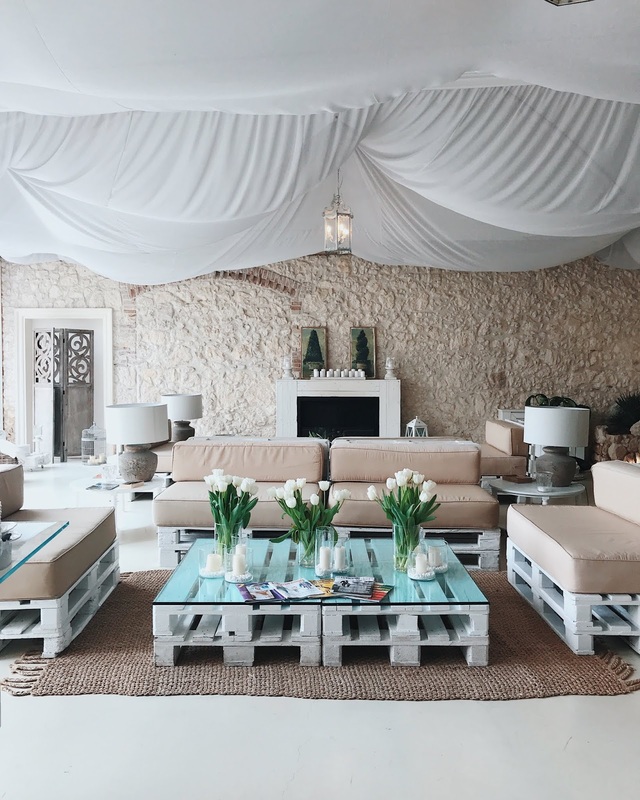 The boutique hotel is made of 18 rooms, with stairwells everywhere leading to each beautiful and unique room, along with views overlooking their gardens. 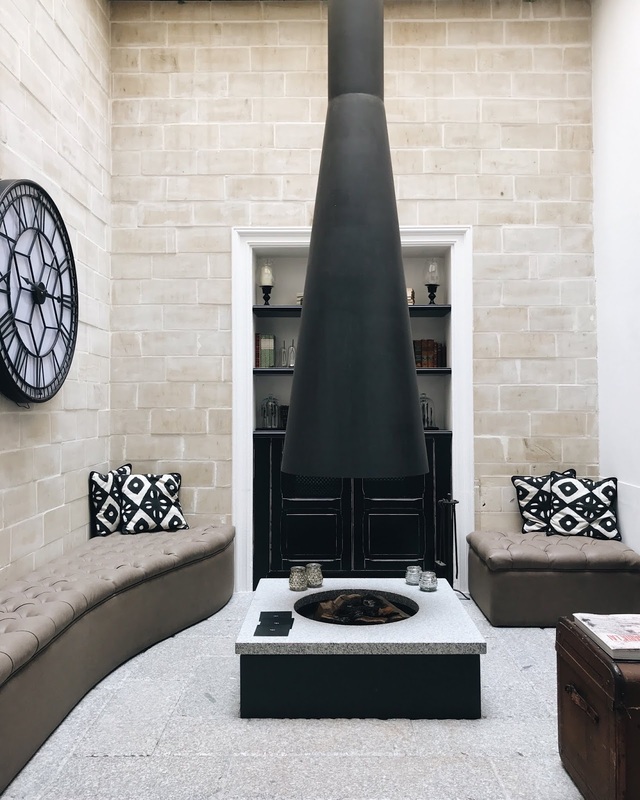 Inside are the most welcoming relaxation areas that are perfect for a pre or post tipple, and the staff were nothing but welcoming. We could have easily stayed in the garden room for our whole trip.